My favourite part of the training? The poo calculation tool! in her community prepare for and respond to floods. SIEM REAP, Cambodia, 18 September 2014 – In Damrei Chhlang village, Theara, a young lady with a gentle smile and a strong commitment to community engagement, giggles when asked, “what part of the training did you enjoy the most?”. Then, without hesitation, she replies, “The poo calculation tool!”. The importance of using toilets is one of the key components of the training she is completing along with 15 other village health focal points in Siem Reap province. Song Vannara found a stable daily job: He distributes tanks with clean water to his community. KANDAL, Cambodia, July 2014 –When Song Vannara was 23 years old, he stopped believing in his future. After repeating many grades at secondary school, he eventually dropped out. His classmates were sometimes ten years younger than him. 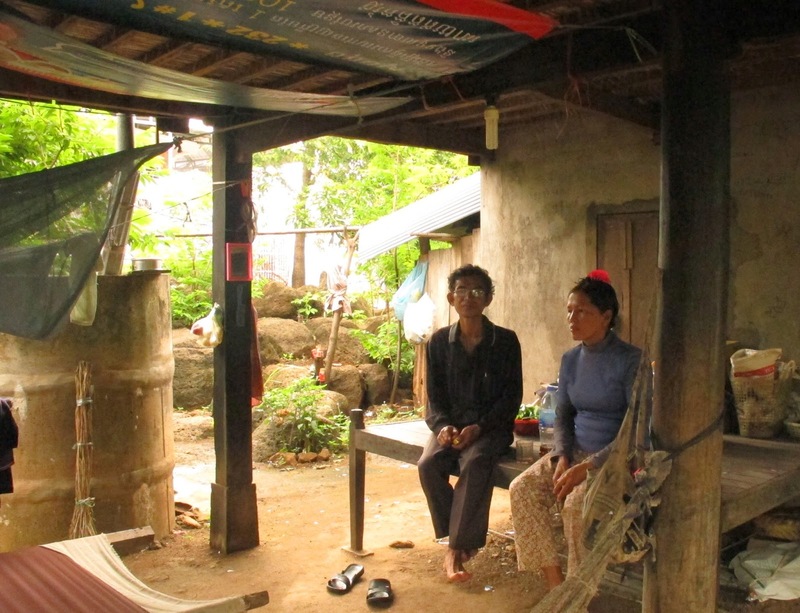 “I always had to work in sugar cane fields to support my family”, Song Vannara says. “So, I never had time to study.” He thought that, just like his parents and three siblings, he would be a labourer for the rest of his life, struggling to survive on $5 a day. A religious broadcast on the radio led to a complete change in the parenting style of grocery seller, Thorn Veasna*. The 48 year old, with his wife, regularly listens to the ‘Seeking Happiness Through Buddhist Spiritual Advice Progamme’, a daily show hosted by Buddhist monks. In late 2013, one of the radio shows was about positive parenting. Noting that according to Buddhist principles violence against other people is a sin, the programme emphasised the importance of raising children with love through encouragement, listening and explanation, rather than through beating, yelling and blaming. To Veasna it was a revelation that violence was not an effective form of discipline. He and his wife used to beat their children with a branch from a tree to exert their authority. “I thought that when raising children we must be strict with them, otherwise they will not listen or respect to us,” said Veasna. The radio show messages convinced them otherwise. “When we use violence with them, they are scared and afraid of us. But when we treat them with love and care, there is much more happiness,” said Veasna who no longer hits his children. Beng village is a small, rural village in Kampong Trobek District, in Prey Veng province. 741 people live here growing rice and raising cattle. 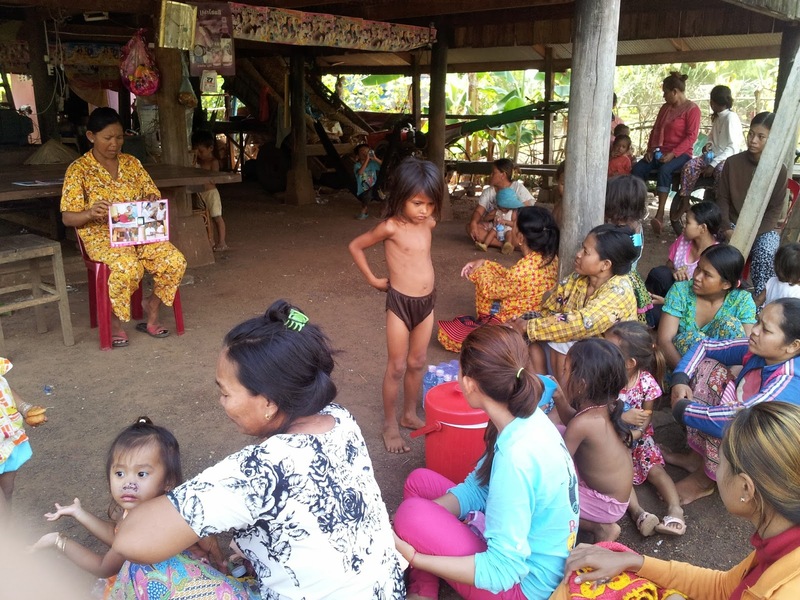 A Community Preschool (CPS) has been built on the teacher’s land and here teacher Nak Sokhom has been teaching 3 to 5 year old children since 2005. Ms. Sokhom’s preschool classes are held for two hours a day, five times a week in a colourful and bright room, built and decorated with UNICEF support and funding from IKEA and the Australian Committee for UNICEF. Drawings created by the children hang on the walls, bright paper bunting is strung across the room and two big bowls of water sit in a corner below a bright pink towel. With ample space, the pupils can play and learn freely and safely.